Janine Bowmaker has lived and breathed study tourism her entire life and there is no one more passionate about the youth and specialised tourism markets. Having travelled throughout the world, gaining contacts and ideas, she created Education by Recreation under her travel agency, the Banora International Group in 1996. Since then, her team have developed several other division as she strives to provide professional but personalised specific products to meet the needs and demands of the current market. Janine sits on several tourism boards and while she is the ex-president of Study Cairns, still volunteers time and energy to this fantastic organisation. On a personal level, she is a devoted mum, sponsors 2 children overseas (Guatemala and Africa) and loves spending her weekends with her friends, family and international students. Michael Bowmaker is the most recent member to join our organisation having left the CAPTA Group in December 2013. He boasts over 24years experience within the tourism industry and has travelled extensively for 21 years in the role of Sales Director. He is recognised as a specialist in the Chinese market and still remains on several tourism boards as a volunteer. Michael was originally a Rainforest Guide and his vast knowledge in this area is also utilised regularly with our student groups. Michael is our biggest volunteer / fundraising advocate. 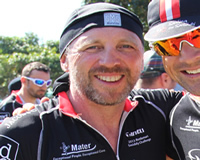 He has ridden 5 times on the Kurumba Charity Bike Ride and last year, rode from Brisbane to Townsville, raising over $15,000 for cancer research. Junko Godwin has worked for our organisation for the last 6 years as our main tour leader, in the office coordinating groups and as a homestay coordinator. Junko brings over 17 years experience from the tourism industry including having worked as translator for National Parks in Queensland. Junko is extremely dedicated to our students, often referred to as “mum” by our long term students and also has 4 children of her own. Host families love working with Junko-san and her passion for the industry is undeniable. Junko is also an avid volunteer. She has worked with the local little athletics club for over 13years, operating the canteen, translating for visiting internationals and helping wherever she can be of assistance. This role involves many weekends and after work hours. Yumi Sugai has worked with our company for the past 4 years also as a coordinator and tour guide for our student groups and our farmstay groups. 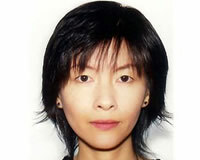 Yumi has over 18 years experience in the tourism industry but was originally a teacher in Japan. She also is a fully qualified dive instructor with PADI. Dolly del Rosario has worked for our company for the past 18months but has over 18 years experience in International Education Management including extensive experience in homestays, study tours and international study abroad. Dolly has a bachelor of Science in Foreign Service, and MA in Political Science and is fluent in English, Tagalog and conversational Spanish. Dolly is extremely active in our ethnic community,sits on several local boards and volunteers regularly in her spare time. Dolly currently heads up our farmstay division, Australian Farm Tourism as well as working within the company on quotes and student management. 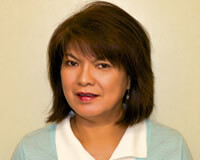 Sachiko Munro has worked with our company for the past 3 years as a coordinator and tour guide for our student groups. 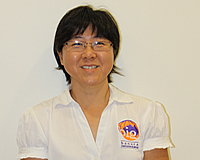 Sachiko has 26years experience in the tourism industry and is passionate about working with students. On a personal level, Sachiko is a master scuba diver (PADI), a devoted mother and currently teaches stained glass in her spare time. 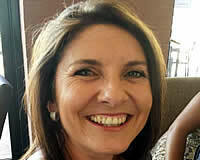 Graphic Designer and Project Officer, Shauna, is the newest member of the Banora International Team. Completing her senior year of high school in Japan, Shauna fell in love with the language, the people, the culture; and pursued a career in the tourism industry armed with fluent Japanese language skills, inside-out knowledge of the culture and an appreciation of their business etiquette. These skills and experiences paved the way for a multifaceted career as translator and editor for a Japanese magazine, Wildlife Education Officer and Koala Handler, Marine Education Officer at a wild dolphin resort, Events &amp;amp; Incentive Manager and Program Development Manager for a group of companies with a focus on wildlife and nature products. These associations have given Shauna valuable knowledge and skills needed to coordinate a wide range of projects from concept to completion. Graphic design has always been a passion and she has carefully honed her skills on the sideline to stay fresh and have the creative tools to enhance each of the roles she has held in over 18 years of her tourism career. Shauna excels in bringing together the expertise of various operators and has worked hard to find those that she believes are the very best in the industry. To work with Shauna means to benefit from the relationships she has built. She is also known for her high level of organisation, fun personality, fresh combinations in design and no fashion sense. Taking the majority of her inspiration from bright things that make her happy, working at Banora International Group suits her down to the ground. When not writing creative copy or pushing pixels, Shauna enjoys an active lifestyle of Salsa Dancing, Yoga, dog-sitting and quality time with her Macbook Pro. Akane joined the Banora International Team in the Spring of 2009. Akane san helps coordinate study tours and Gold Coast homestay placements, now managing our Gold Coast Office as an integral part of our team. Akane is a highly organised, efficient and cheerful person with a passion for helping people. She left Japan and began her career in the travel and tourism industry as a Tour Guide conducting sightseeing tours and airport meet & greet services for Japanese tourists on the sunny side of Australia, Gold Coast and Brisbane. Akane also has experience in the wedding planning industry where she worked as a Bridal Assistant for a company specialising in arranging all aspects of weddings for Japanese couples getting married in Australia. Akane's diplomatic nature and exceptional language skills ensured seamless coordination for Japanese couples to bring their perfect day to life. Loving the Aussie lifestyle, but needing a reconnection with her home country, she moved back to Japan for 2 years and immersed herself once again in the travel industry with a focus on volunteer tours for Japanese university students. During this role, Akane traveled to developing locations such as Vietnam and Cambodia, introducing Japanese story books, toys and music to orphanages and primary schools. Her dedication paired with her positive attitude and strong customer service skills and perspective on the travel industry as a whole make Akane an incredibly valuable part of our team. All staff that manage our groups have first aid certificates and are trained with our company risk management procedures.